These starling species are considered two of the ‘glossy starlings’, referring to the beautiful sheen of the feathers. 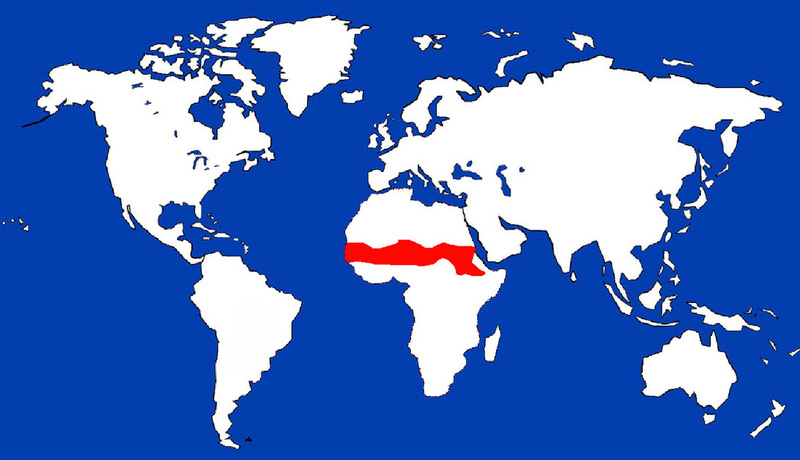 These species are as common in parts of their respective ranges as robins are in the United States. Purple Glossy Starling pairs engage in courtship behavior that includes jumping on the ground with wings trailing and singing to one another. Preferred nesting sites include thorn bushes, low bushes, and cliff hollows. 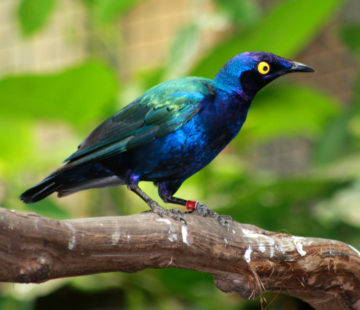 Purple Glossy Starlings prefer to nest in holes found in old trees, which they line with feathers and plant material. Males and females share responsibility for nest construction. Hatchlings are cared for not only by the parents, but also by related and non-related younger birds, especially during years of unpredictable rainfall. 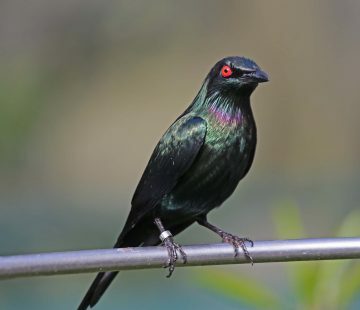 Some birders have noted that during the height of mating season, Purple Glossy Starling males are such enthusiastic swains that they will even sing in the middle of the night when the moon is full in order to attract a female.